The Mahanidana Sutta, "The Great Discourse on Causation," is the longest and most detailed of the Buddha's discourses dealing with dependent arising (paticca samuppada), a doctrine generally regarded as the key to his entire teaching. The Buddha often described dependent arising as deep, subtle, and difficult to see, the special domain of noble wisdom. So when his close disciple Ananda comes to him and suggests that this doctrine might not be as deep as it seems, the stage is set for a particularly profound and illuminating exposition of the Dhamma. 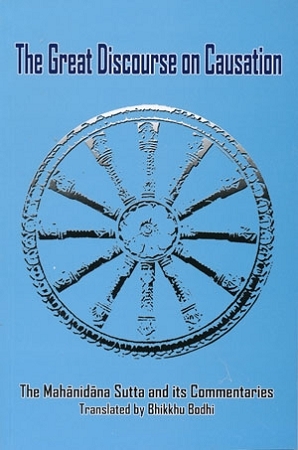 This book contains a translation of the Mahanidana Sutta together with all the doctrinally important passages from its authorized commentary and subcommentary. A long introductory essay discusses the rich philosophical implications of the sutta; an appendix explains the treatment of dependent arising according to the Abhidhamma system of conditional relations.